Dr. Battis began working in mental health in 1972, earned his Master’s in 1975 and his Doctorate in Counseling and Humanistic Studies in 1981, both at Boston University. He was Assistant Director of an inpatient child psychiatry unit and Director of mental health centers in Massachusetts and North Carolina. He taught Psychology at the University of Massachusetts, Lowell and has consulted to many organizations in stress management, communication skills and conflict resolution. He has trained with Dr. John Gottman and Dr. Susan Johnson in couples and marital therapy. 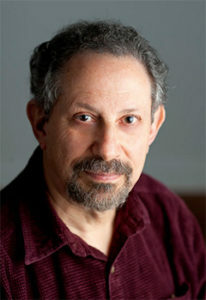 He has studied hypnosis since 1980 and has done intensive training with Dr. Michael Yapko. He has been a therapist with individuals and families since 1975 and joined HRC in 1991. I believe that the strengths each client brings to therapy are the greatest single resource for healing. Much of my work is focused on helping people to remember and use their own resources, whether social, emotional, physical or spiritual. I provide techniques, information and support for clients to reach the goals they define for themselves. I use cognitive-behavioral, solution-focused and family systems methods, and encourage clients to develop a compassionate perspective toward themselves and those close to them. In my work with couples I focus on ways to increase their sense of loving connection while managing their conflicts with respect and understanding. I am married and have four children, who have been among my greatest teachers. My personal interests include theatre, art, folklore and meditation. I see clients in Chapel Hill Tuesday thru Thursday. To make an appointment, please leave a message on my confidential voice mail, 919-442-1111. Be sure to include your insurance carrier.